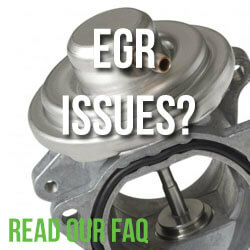 Home › Technical Guides and FAQs › Is it illegal to remove or disable your EGR valve? Is it illegal to remove or disable your EGR valve? Technically speaking it is “illegal” to tamper either any emission control systems on a vehicle. According to the DPF guidance sheet on the .GOV website. This includes DPF removal, EGR value removal / modification and strictly speaking ECU remapping. For EGR valves this is a grey area as you car won’t fail its MOT with the device removed unless it causes the vehicle to emit more than the allowable emissions limit. 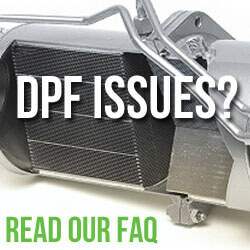 A quick Google search reveals a huge market for EGR removal – often marketed with DPF removal and remap. But taking into consideration the points on our EGR FAQ page we really wouldn’t advise it. Unlike DPF removal the process of removing the EGR value can be reversed relatively simple by either removing the blanking plate, plugging it back in or simply unblocking a vacuum hose. I certainly didn’t expect that reply! We’ve been looking into it further and he’s spot on (as expedted). Diesel cars are only smoke tested – specifically looking for diesel particulate matter emissions. This could be cause for concern if you’ve had your DPF removed! The smoke emitted from diesel (compression ignition) engined vehicles is assessed for its density. It is carried out by the use of an approved and calibrated smoke meter. The engine will be accelerated up to governed speed and the density of the smoke measured. After the third acceleration the average reading is recorded. If the reading is below 2.5m-1 for non-turbocharged engines or 3.0m-1 for turbocharged engines the vehicle will pass. However if the average is higher, a further acceleration is carried out and the average of the last three readings are used, this will continue until a maximum of six accelerations have been carried out. If the average of the fourth, fifth and sixth acceleration is higher than the appropriate level the vehicle will not pass the test. It is important that vehicles are properly maintained (including changing of timing belts) in accordance with the manufacturers’ recommendation and presented for test at normal working temperature. If you’ve experienced any issues after removing or disabling your EGR valve then please let us know in the comments below.